How Do I Take The Hemp Oil Tinctures? How does it work? How much do I take? When should I take it? We've created a guide to help you discover how to take hemp oil effectively. 1. Rest the oil under your tongue. The most effective way to administer our hemp oil is to take it sublingually. We recommend allowing it to sit under your tongue for 30-45 seconds, then use your tongue to distribute the remaining oil to your inner cheeks. This method allows for maximum absorption and helps the supplement enter your bloodstream more instantaneously. Each tincture comes with a dropper, which make it easier to apply the oil under your tongue. The dropper holds 1ml of oil with a graduated measurement, meaning you can measure out the same dosage each time to ensure consistency. 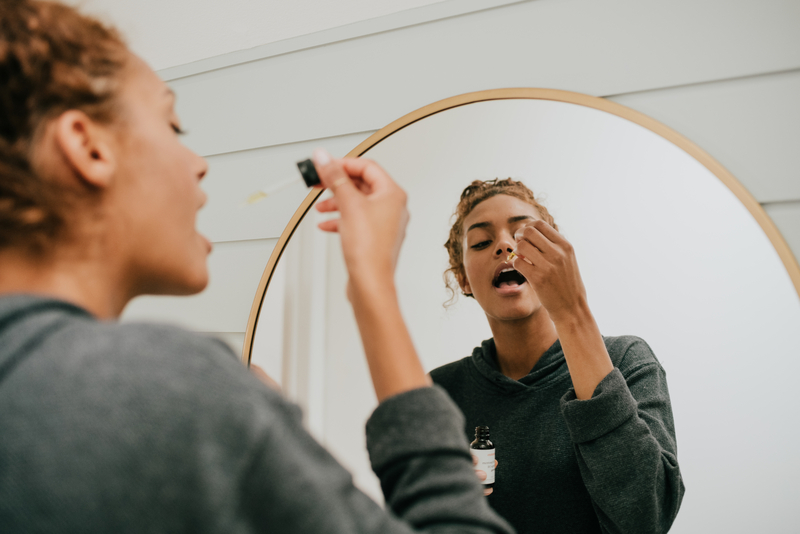 Routine is crucial to understanding how your body responds to CBD oil. Most people take their dosage in a single serving, but you could try splitting your dosage into two or more servings throughout the day. Finding what's right for you requires experimentation - CBD doesn't behave the same for everyone. But once you do find what works for you, repeat that every day to develop a consist routine that your body can rely on. One thing our bodies do agree on: they thrive on regularity. Additionally, we've gotten a lot of feedback from customers that they respond better after they've eaten. We suggest having something in your stomach before taking your dose. When nutrients are present, our body can more readily absorb additional compounds like vitamins, supplements, or medications. Think about it this way: the body can absorb the CBD oil better when it isn't hungry for other nutrients. Like your breakfast. 3. Find your serving size. One of the most common questions that we are asked is what dosage new users should take. 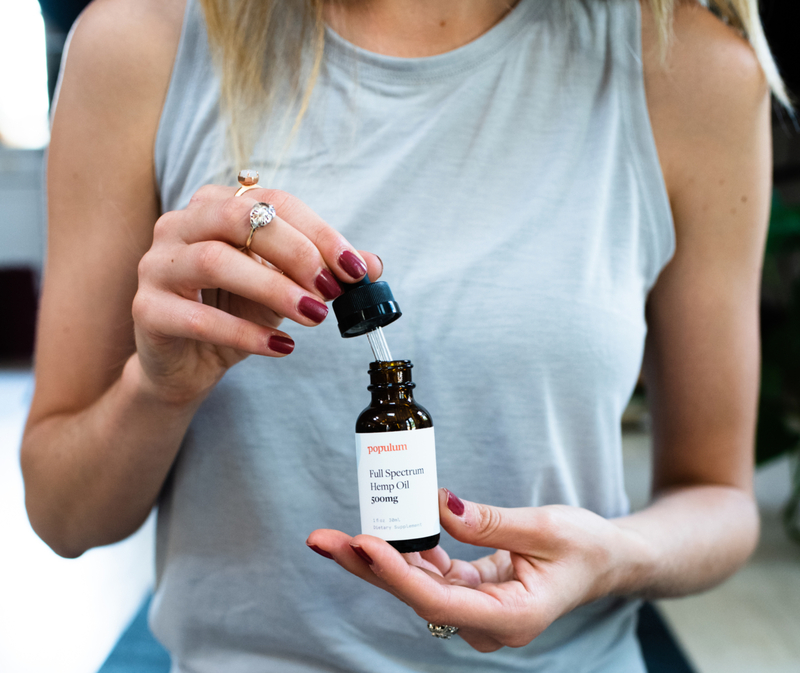 Since CBD oil is not a one-size-fits-all supplement, it can be difficult to nail down exactly what the best recommendation will be. Serving size depends on several factors, so we've created a separate post that goes further into which concentration of CBD you should choose. But once you make your choice, you'll find instructions included in your box to help you understand how much CBD you're getting in each dose. 4. Ask us for help. Sometimes you just need to ask someone. And we're here for that! We have customer service representatives dedicated specifically to helping you understand CBD oil, and they'll answer all your questions as best they can. You can reach out to us via chat, email, or by phone during our regular business hours: 7am-7pm EST. If we miss you, just leave us a message. We promise we'll see it and we'll get back to you. We're here to ensure you can try CBD oil in such a way that you'll know you did it right, gave it plenty of time, and all your questions were addressed. And if you're nervous it won't work for you? Take advantage of our 30-day trial on your first bottle. If it doesn't work, we'll take it back - no questions asked.